Long Term Side Effects of Tamoxifen – Can This Drug Prevent Breast Cancer Recurrence Without Side Effects? Tamoxifen Citrate is a renowned drug for the treatment of breast cancer in females. It is one of the hormone therapy drugs for breast cancer and is used alone or in conjunction with other breast cancer treatments like radiation therapy, surgery, and chemotherapy. Tamoxifen Citrate’s effectiveness relies on its ability to block the cancer cell receptors for estrogen, thus suppressing the cancer cells’ binding activity with estrogen. Tamoxifen Citrate successfully suppresses cancer cell growth by cutting off estrogen supply to the cancer tissues. Besides being an effective drug for breast cancer treatment, Tamoxifen is also used as a protective agent in patients with high risk for breast cancer (patients with family history of cancers, etc.). Patients are encouraged to use the drug for 5 years or more so they can continue living cancer-free. 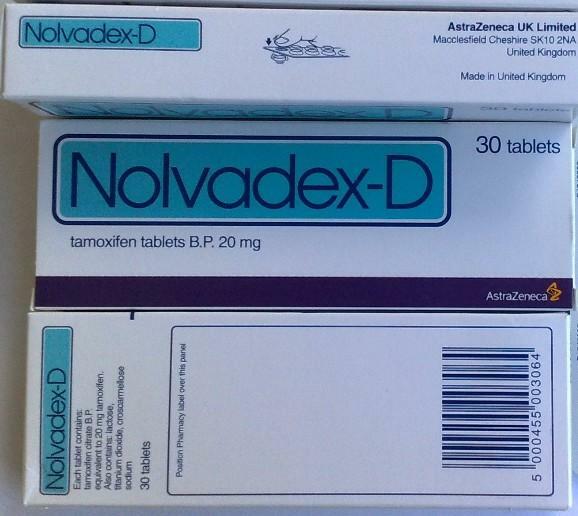 However, is Tamoxifen use safe for long-term, or are there side effects that patients should know about? Studies for the outcome of long-term Tamoxifen use have been conducted through the years. One of the research articles published for long-term Tamoxifen treatment is from Davies et al, and entitled “Long-term effects of continuing adjuvant tamoxifen to 10 years versus stopping at 5 years after diagnosis of estrogen receptor-positive breast cancer: ATLAS, a randomised trial”. The study assessed Tamoxifen’s effects beyond the usual 5-year use—the researchers studied the drug’s effect in the patients for as long as 10 years. Davies’ study involved 12,894 women with breast cancer and who were able to complete 5 years of Tamoxifen treatment. These women were randomized to a 10-year Tamoxifen use or to halt their Tamoxifen intake (5 years). According to the findings of the study, while the initial use of Tamoxifen for 5 years offer protection for the patients, continuing the treatment for another 5-10 years can offer additional protection against breast cancer recurrence and mortality, especially with the 10-year treatment. Based on the data from this study, the difference between Tamoxifen and non-Tamoxifen use after 10 years is remarkable, as the breast cancer death rates are “almost halved” with the extended Tamoxifen use. Apart from Tamoxifen’s protective action for breast cancer recurrence, the extended use of this drug also brought about positive changes in the lipid profile and also offers slight protection against ischemic heart disease. However, although the drug is renowned for its protective benefit against cancer, Tamoxifen is also associated with several ill side effects with long-term use. According to the result of the study, the extended Tamoxifen use increased the incidence of certain cancers like endometrial cancer in non-hysterectomy post-menopausal women. Statistics for this suggest that the 5-year adjuvant treatment using Tamoxifen gives a 2 to 3% risk of endometrial cancer in females and the additional 5-year use of the drug adds 2% by the year 15. Albeit this is the case, the endometrial cancer death rate, however, was only 1/10 of the endometrial cancer incidence rate. Also, despite this, the risk for endometrial cancer is outweighed by the benefits of the drug when it comes to diminishing breast cancer mortality. The lists above are not exhaustive of the side effects or adverse events related to Tamoxifen use in the patients. In case side effects surface with the use of Tamoxifen Citrate, patients should consult their doctor so they can be educated about the steps to take or the additional treatments for the medical condition. However, if the benefits of the drug outweigh the side effects of the medication, the patients may still be advised to continue treatment using Tamoxifen Citrate for their breast cancer. The main benefit of Tamoxifen after mastectomy is its ability to prevent cancer recurrence in patients. Although considered as a hormone treatment and may be used as a standalone therapy in patients, some patients are also prescribed with Tamoxifen Citrate as an adjuvant treatment to ensure the patients’ protection against cancer recurrence. According to studies for long-term Tamoxifen Citrate use, the drug is indeed able to suppress the recurrence of cancer in patients who take Tamoxifen long-term, say 5 years. Breast cancer mortality and recurrence rates in patients are significantly reduced by taking Tamoxifen long-term, especially for more than 5 years. However, despite Tamoxifen’s benefits being clear, the drug also has several side effects which patients should be aware of (discussed in the earlier sections of this article). In some cases, Tamoxifen can increase the patients’ risk of contracting cervical cancer, although the mortality rate for patients affected by cervical cancer is only 1/10. Tamoxifen Citrate is still an effective adjuvant or standalone treatment for patients with breast cancer. The drug’s blockage of cancer cell receptors for estrogen enables the drug to become efficient in suppressing cancer growth in patients, thereby ensuring the patients are cancer free for years, as long as the minimum intake of the drug is 5 years daily. Overall, the drug is an excellent treatment for breast cancer (and breast cancer prevention), although we cannot discount the fact that the long-term use of the drug often causes side effects in patients. For purchases of this drug, Tamoxifen, patients can use the local drugstores, or opt for cheaper generic alternatives found at online pharmacies—at stores like our Top Online Pharmacies.